Pictures from Mother’s Day events! 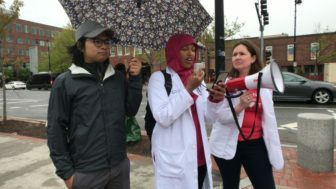 Dr. Michelle Morse speaking at Boston Rally! 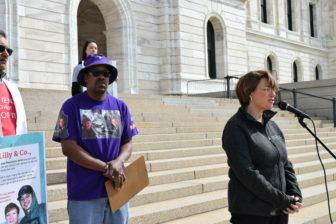 Senator Klobuchar speaking at MN rally! 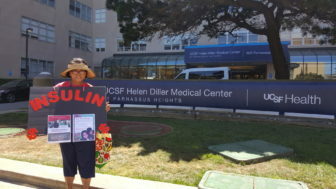 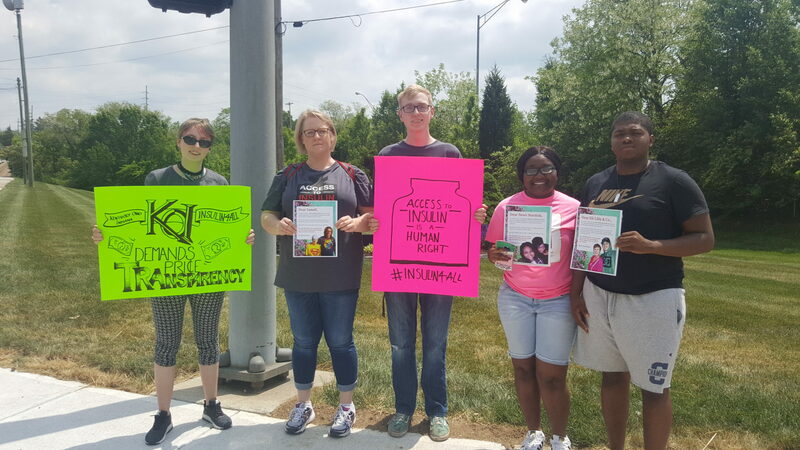 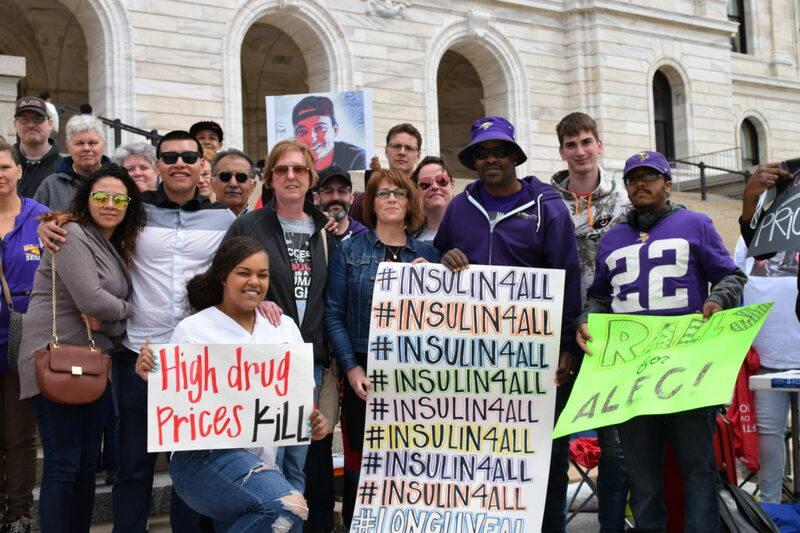 The RCA rallies for affordable insulin on Mother’s Day Weekend made a huge splash in the media. 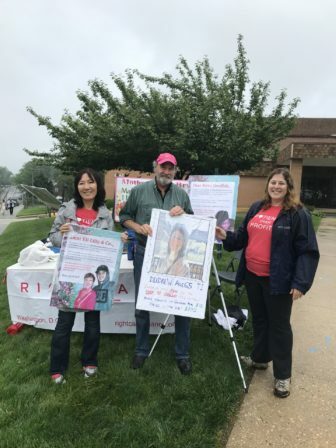 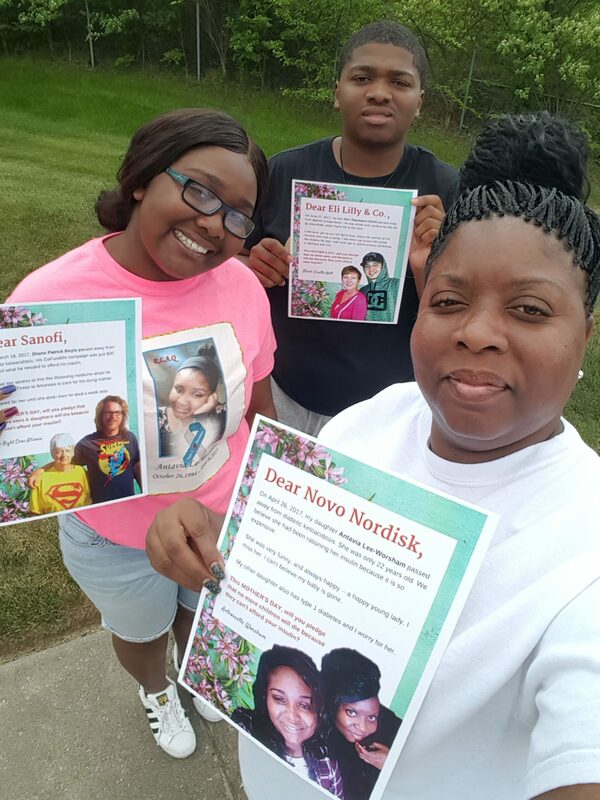 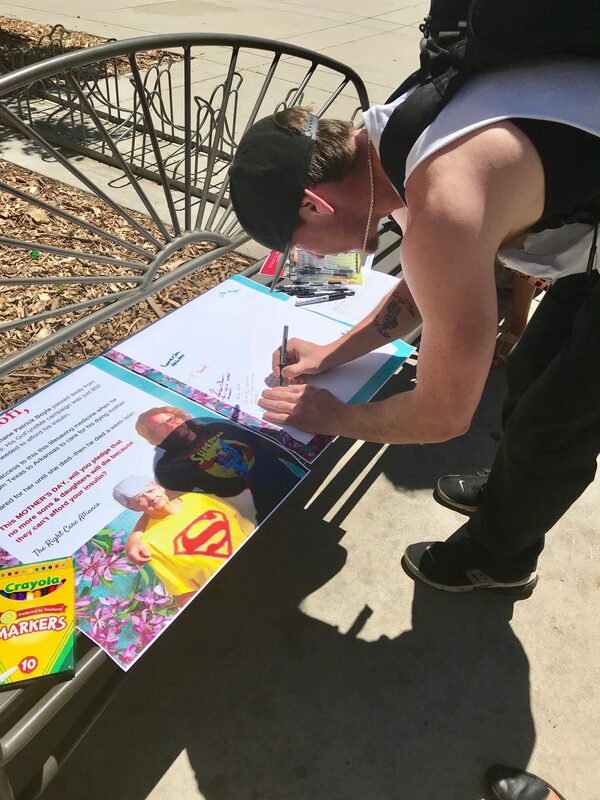 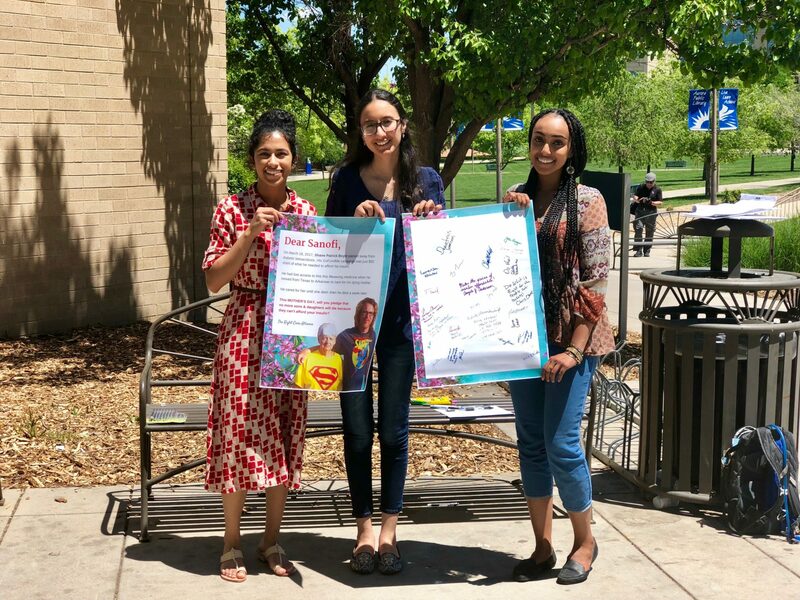 So far, nearly ten articles have been published in local and national news sources, and the protests gathered over a hundred physical signatures on the Mother’s Day Cards, and more than 4,000 signatures online! 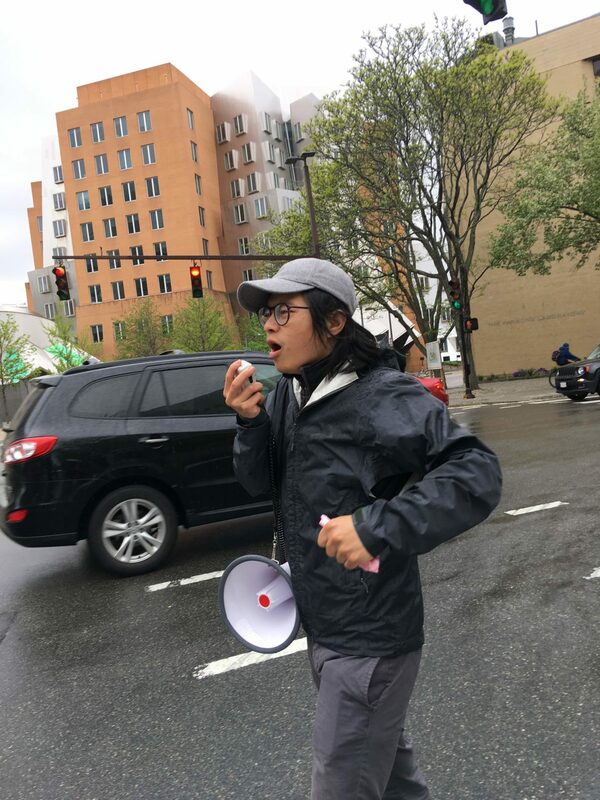 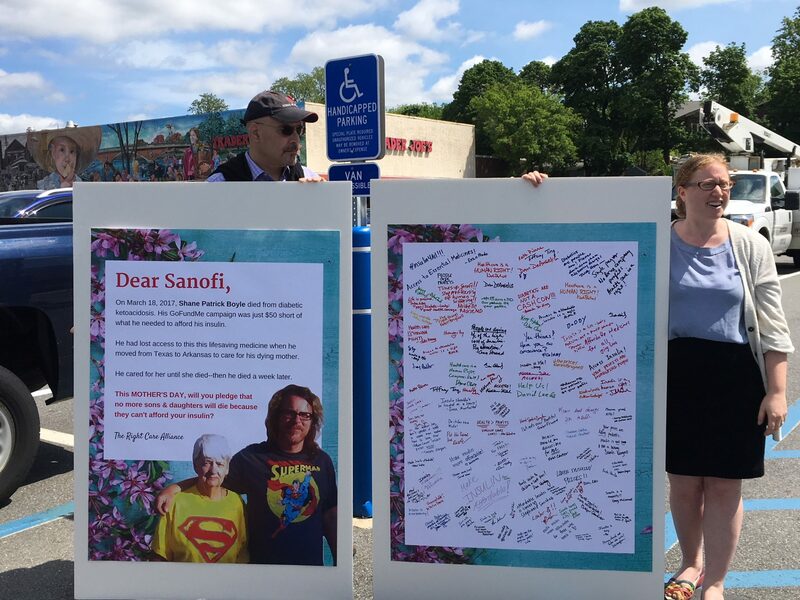 The Boston rally also got the attention of the Boston Herald, and the Associated Press, who reported that dozens of patients, clinicians, and activists were taking to the streets in Cambridge to protest high insulin prices. 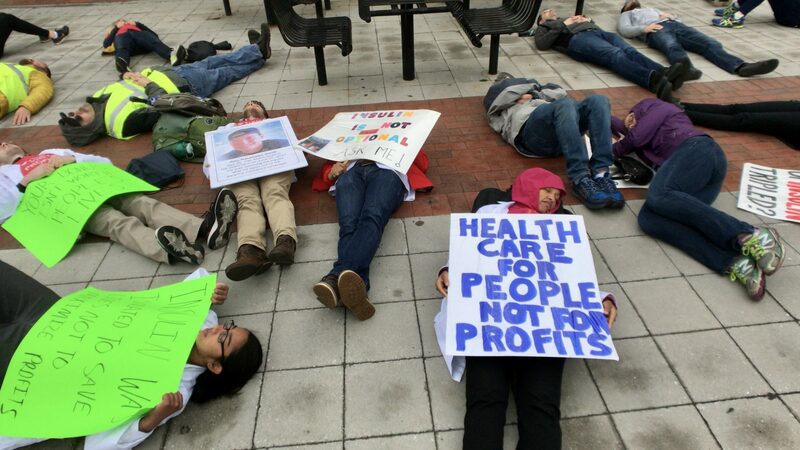 “This situation is dire because we will never have enough money to fight them with money, and we don’t have the power politically because of how much money they spend lobbying. 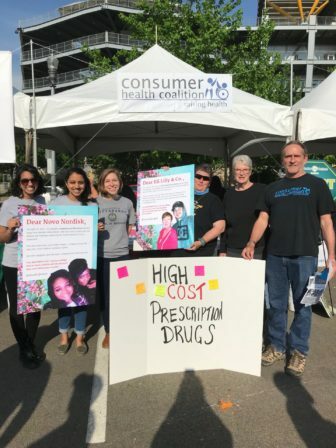 Our only recourse is to organize on the streets and to draw attention to the horrible consequences of their out-of-control pricing,” said Aaron Toleos of the Right Care Alliance, in the Herald. 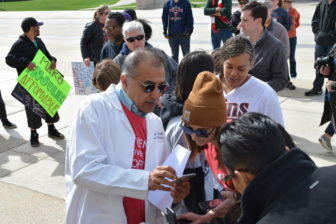 In St. Paul, MN Nicole Smith-Holt and James Holt, Jr. led a fantastic rally on the steps of the Minnesota State House, featuring speeches from Senator Amy Klobuchar, insulin activist Quinn Nystrom, and endocrinologist at the Mayo Clinic Dr. Victor Montori. 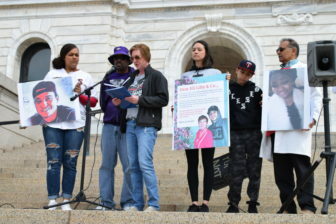 Check out the Minnesota Star Tribune and WCNC coverage of the event! 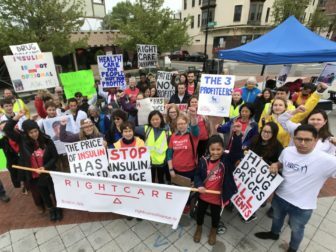 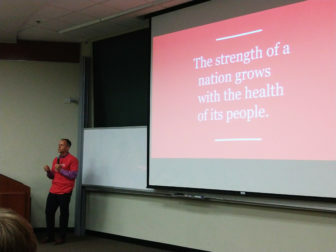 “This small vial of insulin that keeps us alive is unaffordable, even to middle class people. 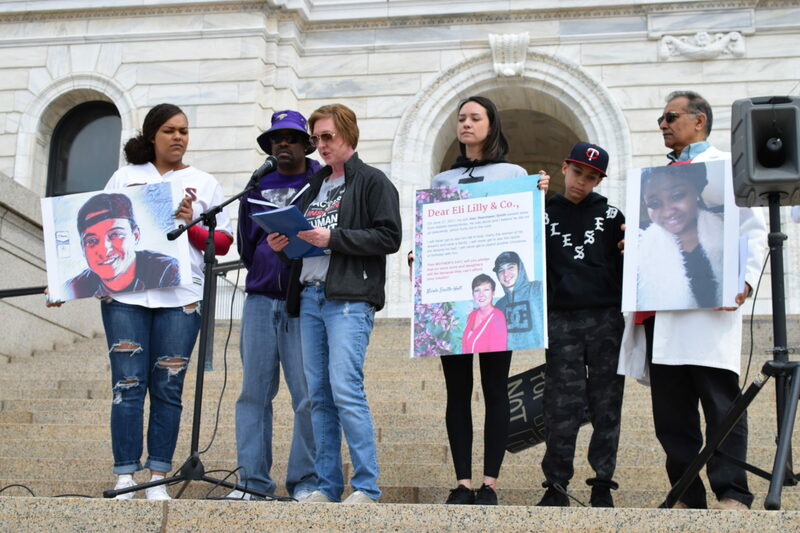 You can’t even get the medication that keeps you alive, and this is the United States of America, the richest country in the world!” said Nystrom in her speech. “To have a medication that saves patients’ lives and stops suffering, and then to price them out of it, is the worst kind of cruelty,” said Montori in his speech. 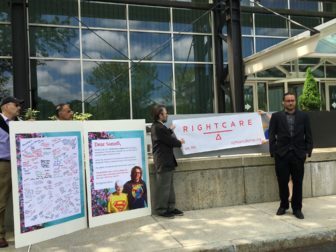 You can watch the whole video of the Minnesota rally on the Right Care Alliance Facebook page.